Don't be a sucker and freeze. Remote start it, baby! The Polar Vortex is about to unleash itself on much of the country over the next few days, and the idea of stepping into a sub-zero temp car cabin makes us want to climb back into bed until spring comes. Unfortunately, most of us aren't independently wealthy, so we have to work for a living, haul the kids to school, and generally face whatever mother nature throws at us. The remote start process is as easy as pressing a couple of buttons on the key fob. 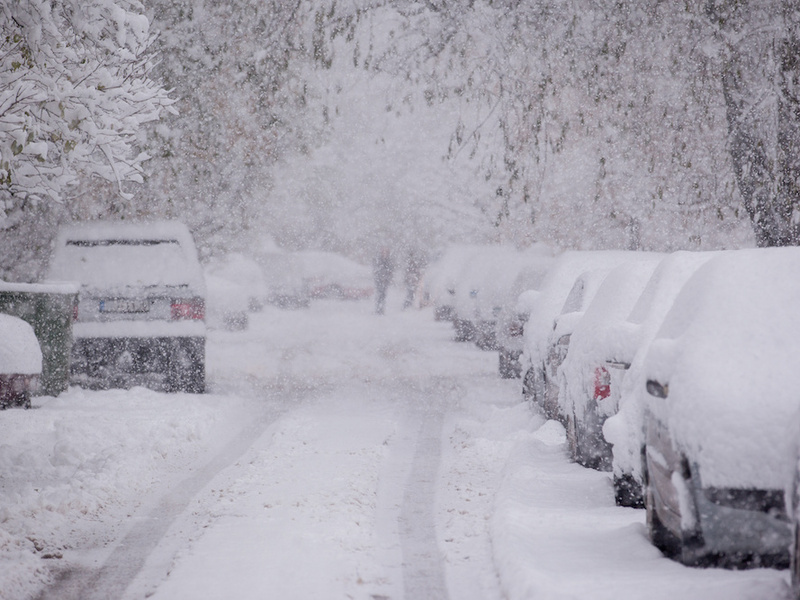 A standard remote start system can make all the difference when the temperatures plummet. You don't even need to be near the vehicle to activate the engine. Do it from the comfort of your house, and voila! Heat and no frozen body parts to speak of. Here are our top three choices to get you through this Polar Vortex and the ones that may follow. We love the Durango and all its trims for so many reasons. The Durango is well-styled with the right amount of aggression, and the interior is comfortable and spacious. Add in great driving for a vehicle this size and an excellent infotainment system, and you're just about set. You don't even need to get the big V8 Hemi to enjoy the power the Durango has to offer. The 295 horsepower V6 is more than sufficient in the GT Plus. The GT Plus with AWD starts at $41,395 base MSRP, and it comes standard with Remote Start, heated front and second-row seats, a heated steering wheel and even heat for the third row. The Ford Edge has evolved into one of the nicest crossovers and is a hot-seller for the blue oval. In top Titanium AWD trim ($40,645 base MSRP), the Edge doesn't just look stunning and modern, it also comes festooned with a host of excellent features that will make any owner gloat. The Titanium trim comes standard with Ford's comprehensive 300A Equipment Package that includes Remote Start and heated leather sport seats that will make the brutal winter so much easier. Standard SYNC3 infotainment that's remarkably easy and fun to operate, a potent 250 horsepower Ecoboost turbocharged engine, and a powerful 12-speaker Bang & Olufsen premium audio system round out the Titanium nicely. The new Traverse is better than ever. In fact, it's improved in virtually every way including space, comfort, and technology. The Traverse in LT Leather AWD trim ($42,295 base MSRP) has features aplenty, including a powerful naturally-aspirated 310 horsepower V6 engine, a power programmable rear liftgate, 8" diagonal color touchscreen, and super-convenient 4G LTE Wi-Fi that keeps the kids peaceful on long drives. For the icier times this winter, heated front and second-row seats, a heated steering wheel, and that all-important Remote Start feature all come on the LT Leather trim. No more fear of old man winter in this full-sized crossover.